It took six more days for me to get my explanation. Mae wanted to know why I couldn’t come out that Sunday. Something told me that telling her what was going on was not a good idea. I made a vague excuse and said I’d try to get out on the following Sunday. Monday was D-Day. I knew it as soon as Mr. James showed up on the front doorstep. He’s a tall man, somewhere in his late forties, balding and much of the dark hair that is left has gray streaks in it. His shoulders are broad and he has a definite middle age spread. He also has the reddest face I’ve ever seen in my life. I ushered him into Mr. Hackbirn’s office and didn’t quite shut the door. I stayed near the crack, too. “Is this what I think this is?” Mr. Hackbirn asked, pleased. Flushing, I slid open the door. “She’s been..?” Mr. James looked at Mr. Hackbirn. Puzzled, I sat down on the edge of one of the chairs in front of the desk. Mr. James stood next to it. I glanced at Mr. Hackbirn. His face was passive and unreadable. “I have,” I answered slowly. “I see,” replied Mr. James. He looked at Mr. Hackbirn. “She’s bright,” said Mr. Hackbirn. Mr. James smiled and so did Mr. Hackbirn. “That’s why you’re here, Miss Wycherly,” Mr. Hackbirn said, becoming serious once more. “Me?” The news hit me like a punch to the bread basket. Locked in. He’d warned me off. Something inside me snapped, and it was if I was watching everything that went on from another corner of the room. “Your security clearance and adoption came through this morning,” said Mr. James. “You mean you guys want me to be a spy, too.” My voice sounded distant as if another person were speaking. “I can’t believe this,” I gasped. “It will take a day or two,” said Mr. Hackbirn. I left the house and ran down the streets to the bus stop. I was confused. I was a spy. They hadn’t even asked me, and, oh, that made me mad. But I was also excited. They had chosen me. But for what? Yes, I would be risking my life, but how did I know these guys were telling the truth? I only had Mr. Hackbirn’s word for it that Mr. James was from the FBI. The bus arrived, and I found myself making the long trip to West LA, and FBI headquarters. I was scared as I paced the foyer, and I realized the thing that scared me the most was that I had no way of knowing if Quickline truly existed and if it really did work for the US. What if it was really an enemy operation? Oh, was I naive then. That should have been the least of my fears. Of course, I had never laid my life on the line before, and risking my neck didn’t sound that bad in theory. I never really believed that I had no choice in the matter either. I’m not sure I do even now. A buzzer sounded above the rattle of the young woman typing. She looked up at me. The office was well appointed and comfortable. A woman about my mother’s age sat behind the desk and smiled professionally. I took a deep breath and began the story I’d rehearsed on the bus. “If I could tell you that, I wouldn’t be needing to ask you!” I felt my voice go shrill and took a deep breath to steady myself. I don’t know if the woman guessed what was on my mind, or if God merely intervened and made her do something she wouldn’t have normally. I didn’t care then, and I don’t now. I left the office feeling somewhat reassured. On a lark, I went to find Henry James’ office. It was there. The secretary seemed vaguely familiar, with brown hair, clipped into a barrette. She must have been expecting me because she sent me right into the inner office. Henry James was there, too. “Quite a shock, isn’t it?” he said smiling with paternal warmth. I smiled rather weakly at him. “I’d better get back,” I said finally. I left his office deep in thought. I looked at her again and flushed pure vermillion. I suppose I should have been more upset. Mr. Hackbirn had radically changed my life without doing me the courtesy of asking me. Well, he had tried to warn me, and he did give me a chance to back out. At first, I was too numb from the shock to protest. As the shock wore off, I became caught up in the romance of being a spy. The danger seemed very unreal to me. Later, when I realized just how real the risks were, I was too caught up in other problems to feel much outrage at my fate, and I’m not the type to spend much time brooding about things I can’t change, anyway. It was almost two when I got back to the house. Mr. Hackbirn was waiting for me in the living room. 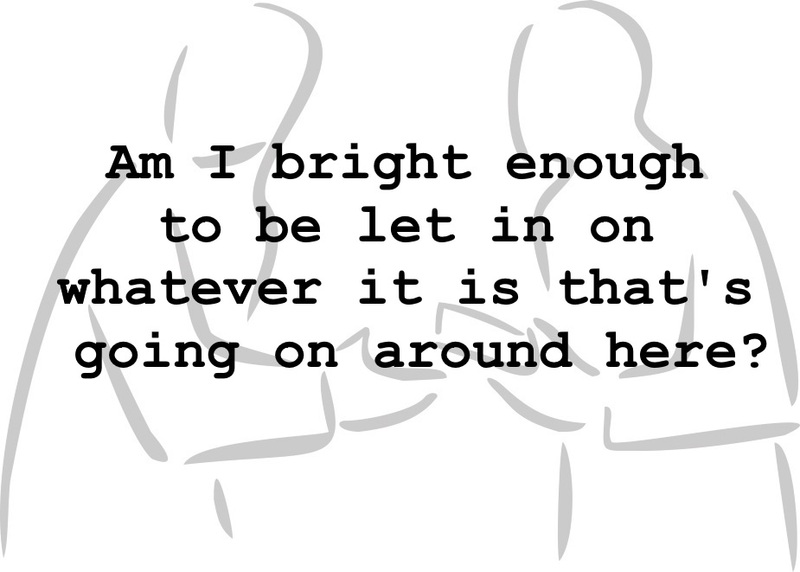 “I guess I’m in,” I replied, brightly. “That’s not very reassuring.” I sank onto the couch. “We don’t do any of the actual spying?” Believe it or not, I actually felt disappointed. We looked at each other. I was filled with that warm cozy after the storm feeling, the kind when you know everything is going to work out just fine. The kind when you know you’ve just found a very good friend. Thanks, Carol. I will. Appreciate the comment.